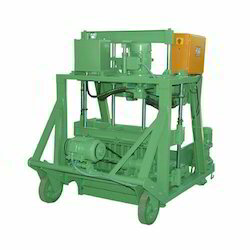 Swing Frame Grinder 12", 16", 18"
Specifications We are the manufacturing the Automatic Vibro Compact Fly Ash Bricks Machine.Special Features We are the manufacturing the Automatic Vibro Compact Fly Ash Bricks Machine.DescriptionWe are the manufacturing the Automatic Vibro Compact Fly Ash Bricks Machine. We are considered as one of the reputable names of the industry by presenting finest quality assortment of Fully Automatic Fly Ash Bricks Making Machine. The whole range of these machines is accurately manufactured under the guidance of our dexterous professionals by using quality tested components and ultra-modular techniques. 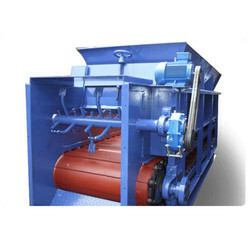 With the assistance of our designers and engineers, we are able in manufacturing Fly Ash Brick Machine as per the international standards. Wish to produce excellently finished mud bricks of varied grades Buy our precision-engineered Mud Brick Making Machines. Fabricated of superior-grade components, our entire range is structurally robust, efficient, and easy to operate. As a quality driven enterprise, we are engaged in providing a high quality range of Automatic Hydraulic Brick Machine.